I have been having an interesting discussion about outdoor warning sirens on Facebook and wanted to move it/include my blog readers. What is sparking this conversation? I have had a strong opinion about outdoor weather warning sirens for many years. I feel they are dangerous to people in a community. They give people a false sense of security and rely on them too much. Tragically, a tornado hit the village of Diehlstadt in southeast Missouri Monday, June 4. Three people were killed when their mobile home was overturned. Because of the event, several people in Diehlstadt are working to have an outdoor warning siren installed. KFVS/Heartland News reported on the story of a woman in Diehlstadt working to have a warning siren installed. Since the tornado occurred in the KFVS viewing area, where I used to work, there has been a lot of good conversation going on my Facebook page. 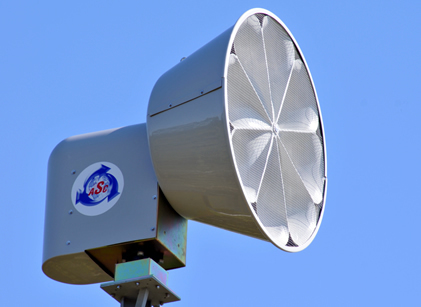 Something many people don't know about outdoor weather warning sirens. Warning sirens are only designed to cover 1-square mile. A typical warning siren costs approximately $30,000 to install. That does not include annual maintenance fees, $2,500 (total) for 5 years. Weather warning sirens are an antiquated technology dating back to the civil defense system of the 1940's. The system was initially designed to warn of air raids during World War II. They were then adapted to warn of nuclear attack and eventually used for warning of storms. The city of Cape Girardeau has approximately 24 square miles. That would take 24 warning sirens to cover the city. Keep in mind, that is to cover the city outdoor.s Sirens are not designed or meant to be heard if you are indoors. If you break down the number of people in Cape Girardeau (37,941 according to 2010 Census) that equates to 1,580 people per square mile. I would propose a city purchase weather radios for each household within that square mile. A Midland Weather radio would cost approx $26 wholesale (I imagine they could get a bulk rate discount and I know there are cheaper alternatives available). Electric companies say they figured 3-4 people per "customer". That means approximately 530 radios would need to be purchased per square mile. That would cost $13,780 (high end) and warn people indoors and in a much more timely manner. Plus, it would save the city $16,220 (54%). In the case of Diehlstadt, according to the 2000 Census there were 61 households within the village. To provide every household with a weather radio would cost approximately $1,600. If you install an outdoor warning siren, it will cost approximately $30,000. Weather radios would provide savings of 94% to the village/county. I contend that with weather radios, you can be notified several minutes ahead of warning sirens. The process of a warning siren being sounded is the NWS sends a warning. The warning is read by the dispatcher (if they aren't on the phone/radio). The warning is read over the radio. The dispatcher presses the button to sound the siren. That can take several minutes and the siren doesn't tell you why it is being sounded. The information you get via weather radio, is the exact same information the tv station, radio station and dispatcher is getting and at the same time. Along with the alert, the radio also speaks the text of the warning so you know why it is going off. I should probably add that I am not being compensated by Midland Radio or any other manufacturer of NOAA weather radios for the above comments. What are your thoughts? Join in the conversation by leaving comments to this post. weather radios are the way to go, you can also take them with you. I agree, weather radios are a great way. They warn you pretty fast. Like John said, you get the warning before it even goes on tv. The tornado in Branson also got me to thinking. 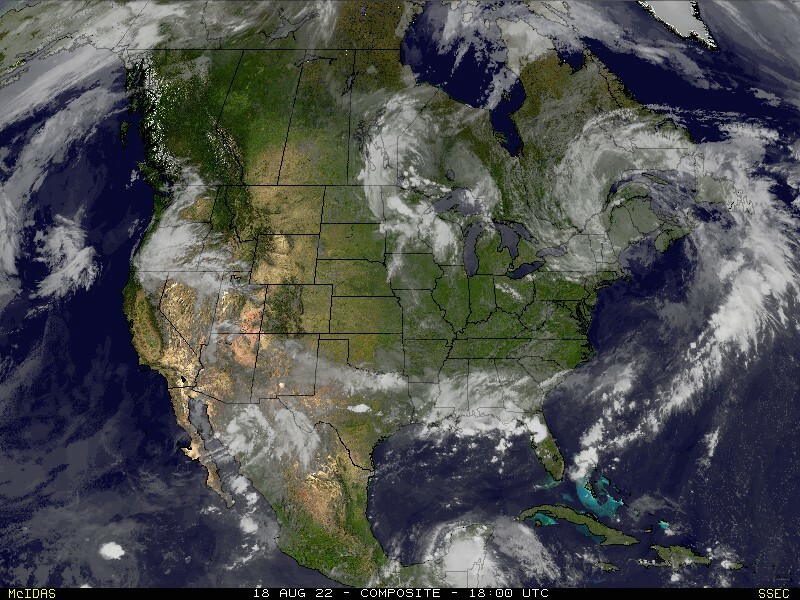 If it were a busy season when the tornado hi Branson, what about all the guests in hotels? I think hotels should have one in every room, they have clocks, so why not weather radios? I agree wholeheartedly; why reinvent the wheel. On the outdoor sirens, you have liability on the agency/persons to sound the alarm; on weather radio, the liability falls on Weather Service. Weather Radios are much cheaper price wise. Modern sirens have a range of 4.19 sq mi (129.8 dBC at 100', 70 dBC range). We covered the 500+ sq mi of St Louis County with 199 sirens at a cost of under $8M. Meanwhile, to cover the 438,032 housing units in St Louis County with weather alert radios would cost approximately $11.39M. The catch here though is that neither system actually covers the county. Weather alert radios do nothing outside. Outdoor warning sirens do little to nothing inside. I think that the weather radio is a good idea but what if the batteries go dead in your weather radio and you forgot to bring extras with you then you would have to rely on the warning siren for emergencys like if a tornado was coming or a sever thunderstorm mixed with hail was headed your way then you would have to find a basement of a store of a storm shelter and take cover.